Shared from – Chapeau Noir Blog – Trends in Golf Apparel. Well, at 14 years of age you probaby weren’t playing in The Masters. But that’s what Tianlang Guan will be doing come April at Augusta National thanks to his win at the Asia-Pacific Amateur Championship. 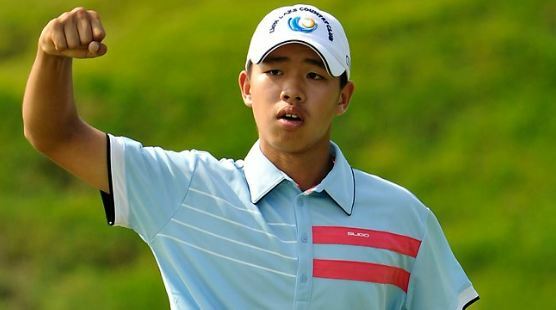 It will be interesting to see if a 14 year-old’s game can hold up at the Masters, but whatever happens, Guan will look every bit the role of a professional if he maintains current preference for wearing Sligo.